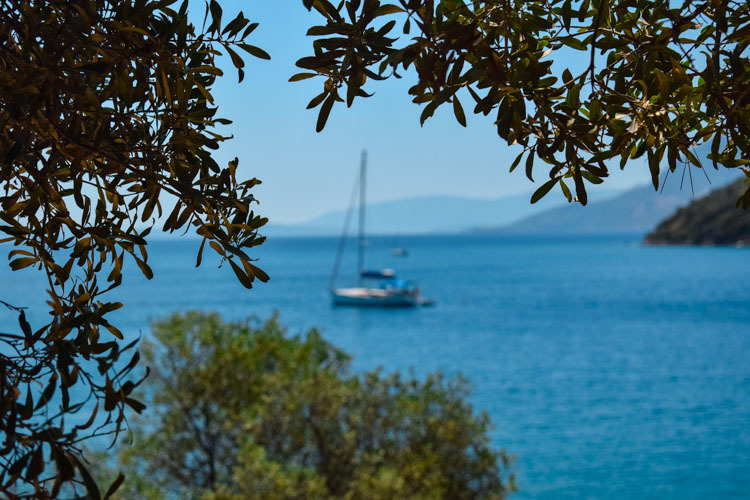 The family-run Hotel Christina is located in the heart of the picturesque harbour of Palaia Epidavros*, an idyllic place whose history gets lost in the mists of time, where the mountains meet the sea, and pinewoods meet olive groves and orange trees in perfect harmony. 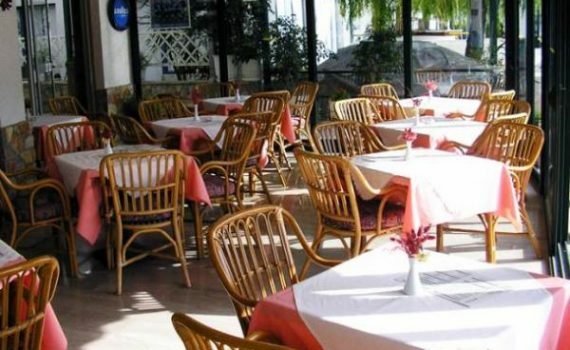 In Hotel Christina, visitors have been enjoying the warm welcome of the Paraskevopoulos family and have found a “home from home” in their hotel for more than thirty years. Thanasis and Christina Paraskevopoulos started their Hotel Christina in 1979 after more than twenty years spent in Canada. Now, with their two sons Giorgos and Costas, they still provide the same friendly service as ever. All the family speaks English and Giorgos also speaks some French and Italian. Follow us on facebook and on twitter to get more news as well as information on the history of Epidavros. The Hotel Christina offers eighteen comfortable and spacious rooms with private bathroom, all equipped with air-conditioning and a flat screen TV. Many of them look over the picturesque harbour and the beautiful Aegean Sea. On the ground floor, there is a coffee bar and a restaurant. The hotel has an elevator and provides free Wi-Fi. In the quiet lounge of Hotel Christina, our guests can relax and borrow books from our library (most titles are in English). 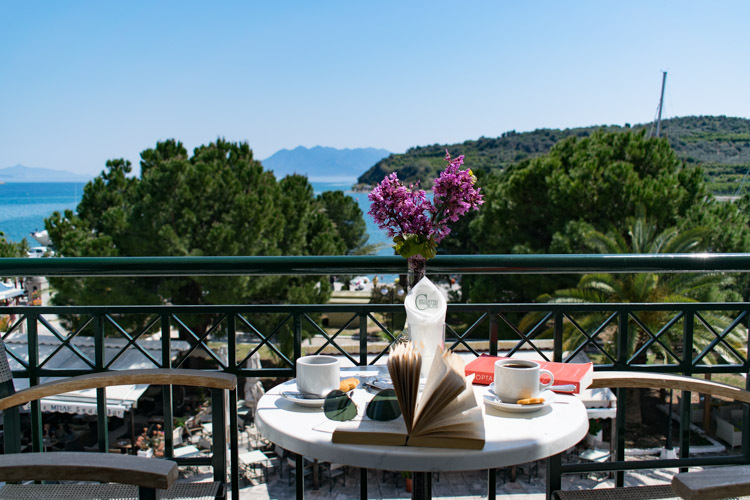 On the ground floor there is a coffee bar and a restaurant, as well as a terrace under pine trees and close to the sea where we also serve beverages, breakfast and nice freshly-cooked meals. For breakfast you will enjoy homemade products: our famous five-fruit marmalade – orange, lemon, bergamot, citrus and grapefruit – as well as our kiwi jam, our cakes and biscuits, all prepared by the family under Grandma Christina supervision! And of course big glasses of freshly squeezed orange juice from our orange trees. A great start to your day! Memories of Christina’s famous treats make our guests long to come back again. In the coffee bar you can also check your e-mails on the hotel computer, or just sit back and relax, listening to music or watching television. The staff and the family are always happy to help with any problems or questions you may have.